We ship Worldwide from our head office in Orlando, Florida. All orders ship within 24 hrs of order placement via USPS for Standard/Priority shipping options or Fedex/UPS if you choose Express Shipping option at checkout. Carrier times vary from 2-5 days within USA and 12-14 days Internationally for Standard shipping and 1-2 days within USA and 3-5 days Internationally for Express shipping. Free Shipping order value is calculated after all applied discounts. Please note: International shipments might incur import duties and value-added taxes which are responsibility of the customer. The amount paid for shipping is the actual cost of just shipping - it does not include any customs duties. We must assume that international customers are aware of any duty that may be due at the time of arrival into the destination country. We offer a 30 day "No Hassle" Refund Policy on all our items. Your satisfaction is our top priority, and we guarantee the quality of all our products. We know that you will love what you ordered but if something doesn't work out, we will gladly accept unused, unworn, unwashed or defective merchandise for return or exchange within 30 days from the shipping date. Unless the item is defective, you will be responsible for shipping costs to send the item back to us. Once we receive your package, we will promptly process your return or exchange. Staying true to our core values during ten-plus years in business has helped us create a company we're proud to run and work for. And our focus on making the best products possible for our customers and helping our team of artisans profit from their craft with help of a generous community has bought us joy and fulfillment beyond measure. In 2012 we also partnered to donate our time, services and 10% of our sales to Homes of Hope foundation and a network of hard working and self sacrificing Nuns. Together it is our pledge to help get as many little girls off the streets in India as possible and into safe homes where they get love and care, nutritious food and a good education. Join Team Sivalya in the movement to save our girls. Every purchase helps with 10% of each sale going towards Homes of Hope and if you would like to help more, please donate directly to the Homes of Hope charity ⇢ Here. Follow the progress of our girls and see which home is being built next at the "Homes of Hope"
Goddess Moonstone bracelet features beautiful natural, freeform moonstone gemstones linked on a sterling silver chain. Moonstone is popularly referred to as the Inner Goddess crystal, as it vibrates with energy of abundant feminine power, fertility and sensuality. Also known as a stone for “new beginnings”, Moonstone enhances intuition, promotes inspiration and helps increase inner strength. Create a stylish layered look by pairing it the Goddess Moonstone necklace. Every purchase helps save young girls from a dark life on streets by providing them shelter, food and a chance at education. Learn More! Look good and do good. 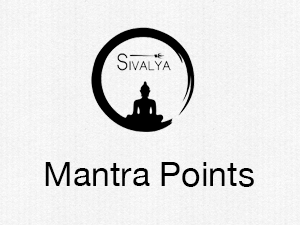 Sign up today to start earning Mantra points to redeem for cash off your order!